Copenhagen Airport is one of the most awarded airports in the world. Copenhagen Airport was established in 1925 - at Kastrup on the isle of Amager - and one of the first civil airports in the world - with an imposing wooden barrack - as the main terminal building - and many spectators watching the few plains take of and land - even though there were plentiful of time between the schedules flights. 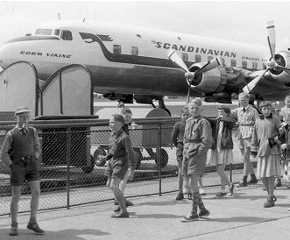 At that time the airport became a great attraction for the Copenhageners - who often went out to Kastrup Airport - and used the surroundings meadows for their picnic to experience this new aviation project. In 1939 - a new airport terminal was built for the few privileged passengers that could afford to fly and be transported in very fashionable manner. 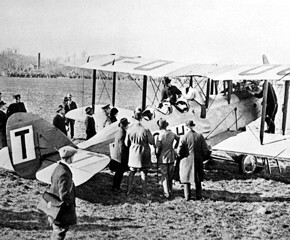 The first DDL De Havilland flight at Copenhagen Airport - 1921. 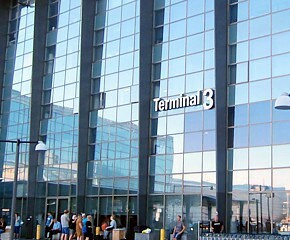 The first terminal building was established in 1925. School pupils visiting the airport in 1956 - where security in the early 60's wasn't even an issue. 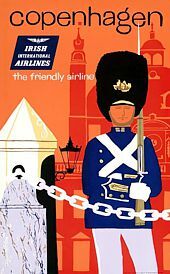 Nostalgic & Vintage Airline Posters promoting Copenhagen & Denmark. After the war in 1945 - the aviation became more popular then ever - and in 1946 - a new concrete runway was laid for the more than 50,000 take-offs and landings every year at Kastrup. 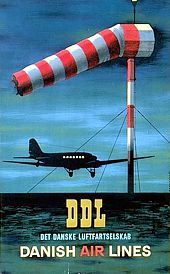 The first and oldest airline in the world was the Danish - "Det Danske Luftfartselskab" (DDL) - established in 1918 - which later was turned into - Scandinavian Airline System - also known today as SAS. Up through the 1970s airport traffic kept on growing and at the present Copenhagen Airport is one of the most modern and bustling airports in the world - and has undergone a tremendous growth during the past. Copenhagen Airport is the busiest international airport in Scandinavia - serving passengers from Denmark and all other Nordic Countries. Copenhagen Airport is the biggest Airport in Scandinavia and serves millions of international passengers yearly - and has been the main hub for SAS since 1946. 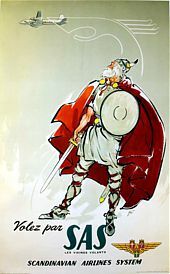 Copenhagen Airport was first called Kastrup Airport - and has been the hub for SAS since 1946 - servicing millions og intenational passengers passing the airport terminals every year - which makes it the busiest international airport in Scandinavia. 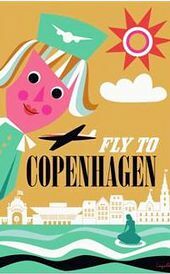 Copenhagen Airports serve passengers from Copenhagen - Denmark plus other Scandinavian countries. 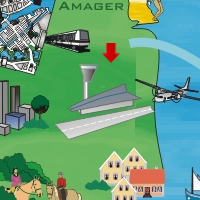 Copenhagen Airport has three terminals and a fourth is opening soon. The airport station is located under Terminal 3 - where the trains and metro lines take passengers to the Central Station of Copenhagen - and then further on to Elsinore. There are left luggage-baggage storage facilities in each terminal at Copenhagen Airport. 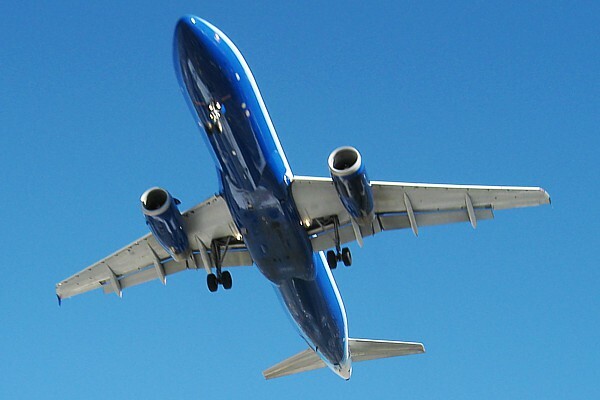 All kind of baggage and luggage items can be stored for up to one month at reasonable prices. Opening hours: Every day 5 am - 10 pm. The maximum rental period for baggage lockers at the airport are 72 hours. All items are subject to security checks - including personal X-ray screening and scanning - plus occasionally random hand searches - and new advanced body scanners ae in use. 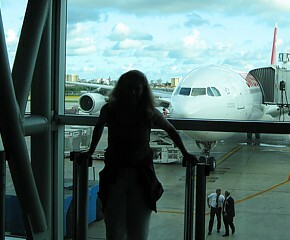 airline services to worldwide destinations. The "new" Terminal 3 building was inaugurated in 2000 - and is an architectural gem shaped like a paper airplane. 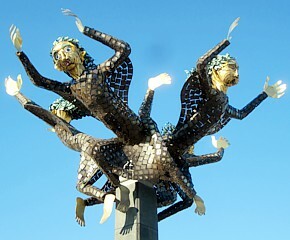 The "Four Winds" sculpture at Copenhagen Airport Terminal 2 from 1960 - is still a popular city landmark. International Awards for Copenhagen Airport! Copenhagen Airport has been nominated and awarded by customers on several occasions - as one of the best international airports in the world. Luggage carts are available - free of charge - upon departure and arrival. Small hand baggage carts are also present - free of charge - in the entire transit area of Copenhagen Airport. Wireless access to the Internet is possible from all locations in Copenhagen Airport. To make use of this service, you must have a laptop or a smartpone with wifi. Copenhagen Airport has a renowned reputation for providing fast delivery of luggage upon arrival - even in the busy high season. Enjoy a delicious porky “Rød Pølse” - while waiting for the luggage. 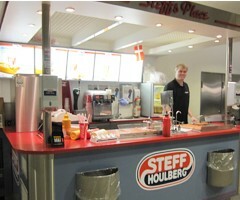 As a must - a very important sausage stand is placed very near the baggage reclaim area at the airport’s arrival hall - so the Danes quite quickly - and after many days abroad - can smell the familiar aroma from the sausage stand - and then satisfy their hunger and appetite - by enjoying their indispensable and delicious juicy and porky “Rød Pølse” (Red Sausage) - while waiting for their luggage. Pasta - seafood - sandwiches - T-bone steaks etc. is also available at Copenhagen Airport together with plenty of drinking options for any and every taste.